Our good friend Gayle just emailed us Baker & Olives latest Zing Box and it is beyond fabulous. You absolutely must consider gifting this Fish Taco Kit. Inspired by San Diego’s fish taco enthusiasts, each kit includes Persian Lime Olive Oil, Mango White Balsamic, Arbequina EVOO, Custom Taco Seasoning, Fish Taco Recipe, Flip Flop Key Chain. 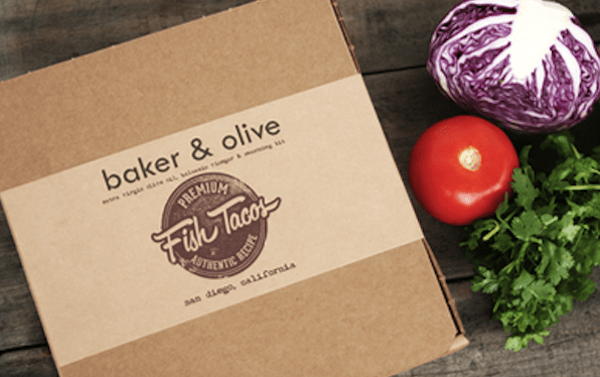 Unfortunately this fish taco kit is so new it is not yet up on their website but if you email gayle@bakerandolive.com, we promise she will take help you order and send it to all of your colleagues, friends, and family. Best yet, this festive and unique gift costs just $37.99 Shipped!